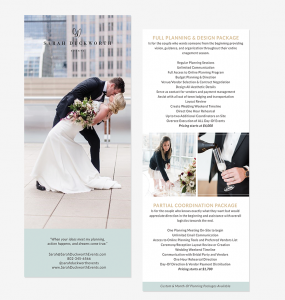 As the pattern continues, here is another beautiful brand and website for an East Coast wedding planner! This spring Sarah, from North Carolina, reached out to me regarding the brand and web design for her new adventure. 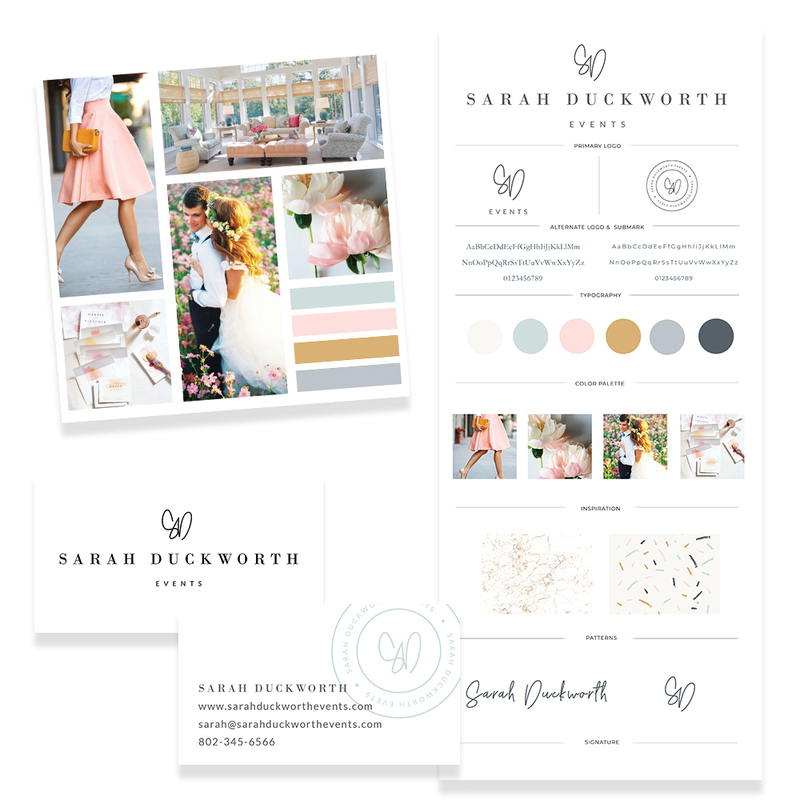 Sarah Duckworth Events is a full-service planning and design company that leans on cloud-based planning with custom online tools to meet her clients where they are allowing her to assist in coordinating a local affair or a destination wedding of their choice! Her mission was one of my favorite things ever: to take hold of all planning elements allowing her brides and grooms to truly live in the love and emotion of every moment on their big day. 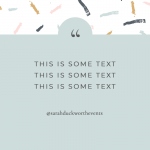 As with every branding process, Sarah dove into an in-depth homework session for Sarah Duckwork Events. 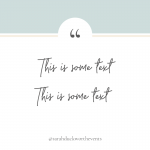 Some of the questions included detailed information about the vision of her business, values, ideal clients, how she wanted her clients to feel, and her future goals for her business. 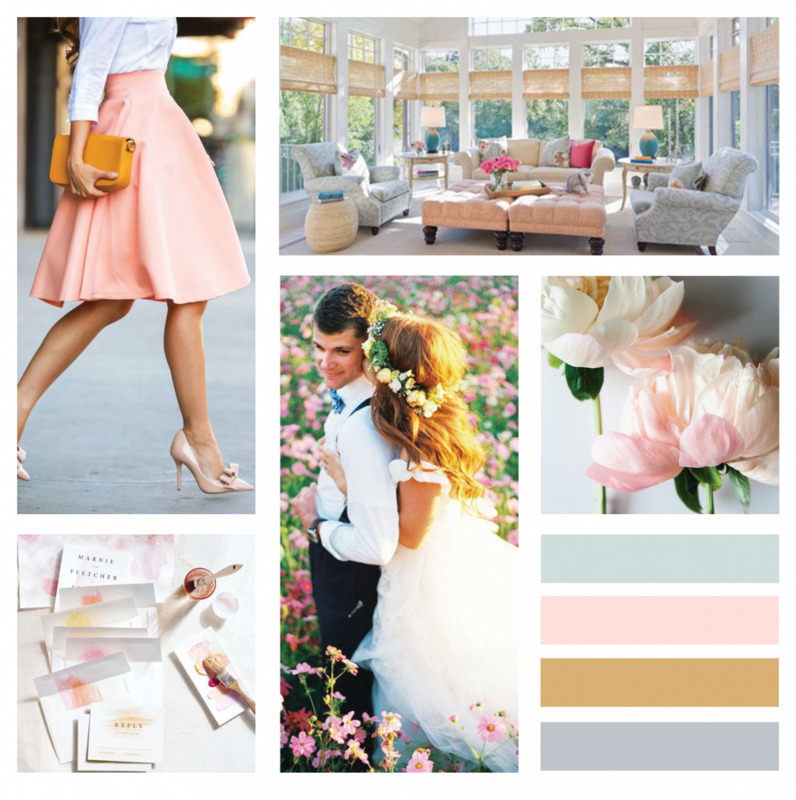 Based on her questionnaire and notes that I kept based on conversations that she and I had had, or emails I pulled out certain elements and created a mood board and a color palette to really resonate with the emotions that she wants her clients to feel, and the values of her business. This is such an important step in the branding process, because if you can nail this down then you can create a brand that attracts your ideal clients allowing you to create the work that you truly love. 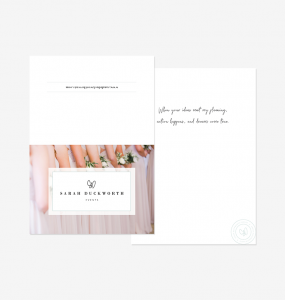 From there, we went right into the design of her business cards, a rack card, and social media styling to finish off her brand so that every point of her business was branded and working together flawlessly. 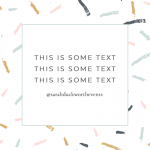 One of the things that I have found to be lacking in a lot of web designs is a strategy and figuring out how to pull visitors through websites in a way that you need them to. So this year, I reorganized the way that I approach web design and I create a Site Flow & Objection Plan so that each site is built around the main objective of your website. So in Sarah’s case, we wanted potential couples to book a call. 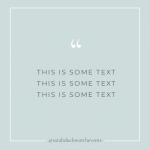 So each element was thoughtfully placed throughout her site so that visitors can easily find what they want and need, and lead them into booking a call with Sarah. Plus the delicate & fun details throughout the site is something that just makes my heart so dang happy! 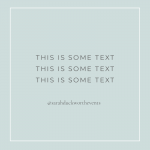 Seriously – you will want to check this website out! It’s crazy to think that it’s October, and with the new year fast approaching now is the perfect time to start thinking about rebranding your business if you have recently found your business shifting and up-leveling. You need to be able to reach your ideal clients, and I would love to help you get there! Hop on over to my contact page and let’s set up a time to chat all about your business, your dreams & vision, and get you the brand that you desire while ensuring that your business is set from the inside out.